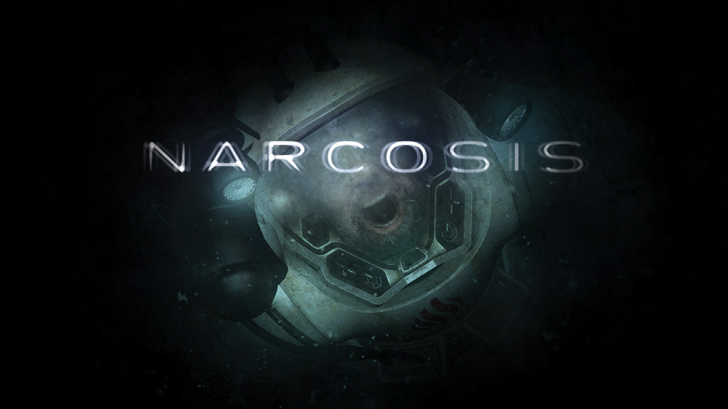 Narcosis is an immersive underwater survival horror game that is dripping with atmosphere. 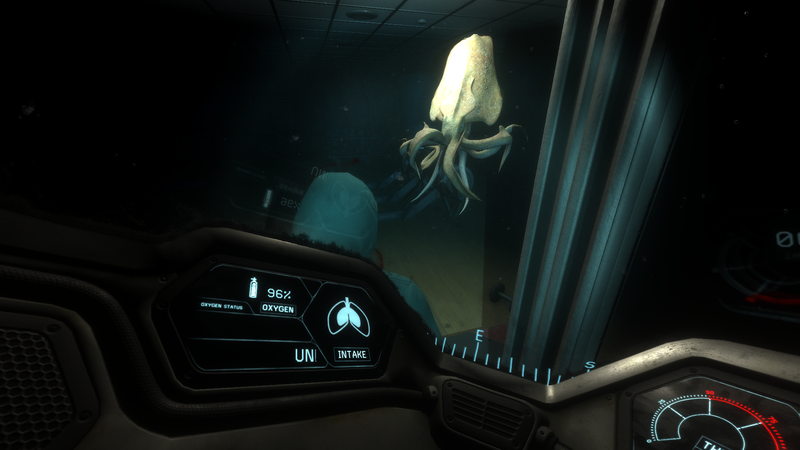 Survival horror is most effective in environments where you feel isolated and alone and what setting could be more desolate than the dark depths of the ocean floor? 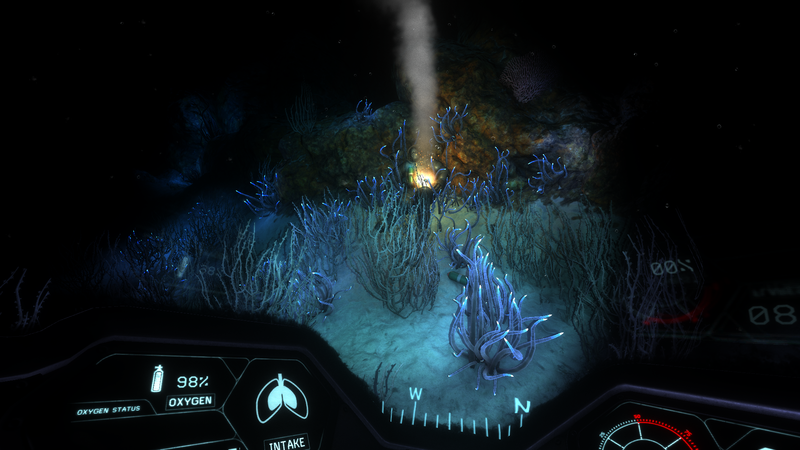 You play as a diver for Oceanova, a company that wants to mine the seabed for methane. While you’re away on a mission an earthquake happens about 50 miles from your location and the shockwaves from it wrecked the habitat, your only safe haven this far down. You then have to make your way back there to try and get aboard a sub and make it back to the surface. 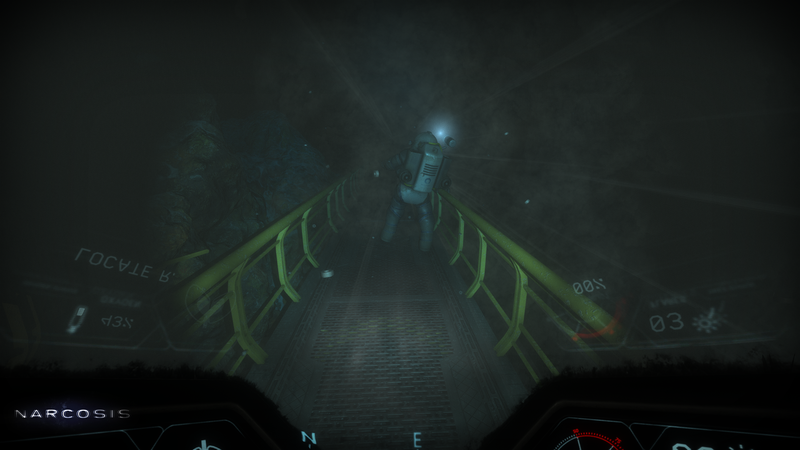 You’re in a heavy, sluggishly moving diving suit, which the developers appropriately call a “walking coffin”, and your oxygen level is dwindling before your eyes. Added to this is the fact that you use up more of it when you are under stress so you have to carefully monitor your intake as well. 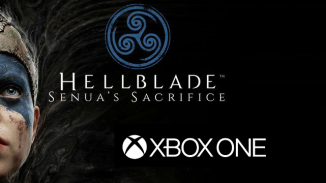 Over the course of the game you’ll encounter some surreal elements here and there that are sometimes used to create interesting gameplay experiences but most of the time it’s to give you a jump scare which raises both you and your character’s heartbeat and breathing. Luckily only the virtual you is at risk of dying. The game looks visually stunning, definitely on par with a triple A title. 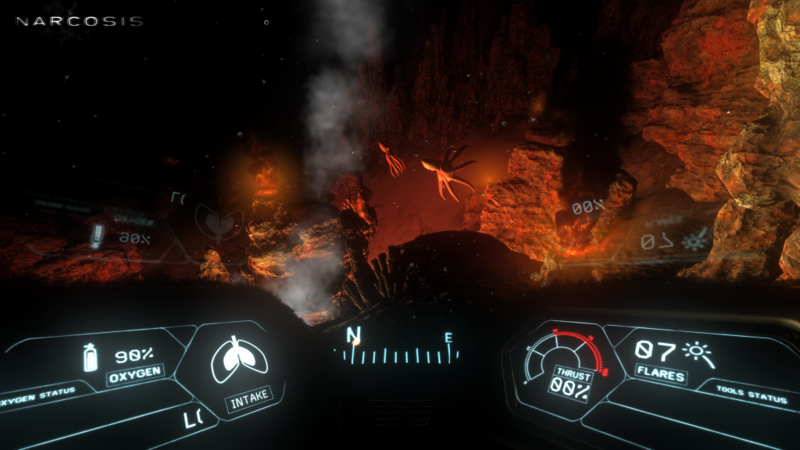 You witness the outside world through the monitor of your diving suit, which has a minimalistic interface but at the same time has all the information you need without pulling you away from the immersion. Lights from both outside and inside your suit reflect realistically in the glass. 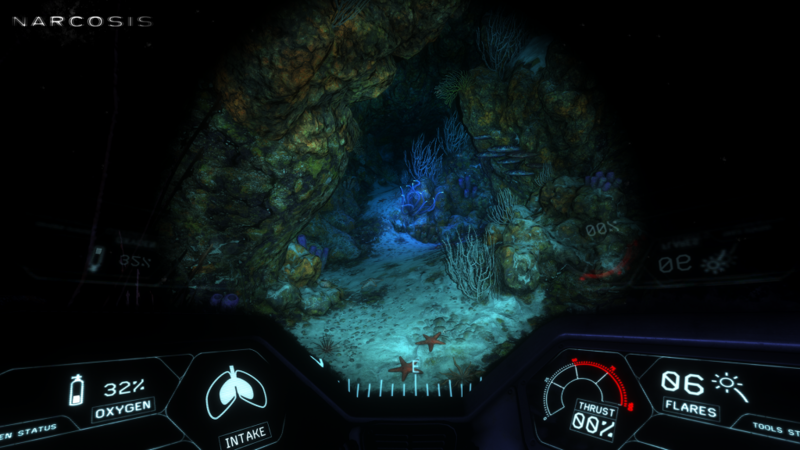 The environments are detailed and more colorful than you would expect to find on the bottom of the ocean. The fauna & flora that populate it are diverse and move in a realistic manner and the excellent use of colors and lightning often makes you feel as if you are exploring an alien planet. Sound-wise the game is no slouch either. There is a minimalistic use of background music but whenever it IS used, you know something exciting is about to happen and it gets your heart pumping while your character increases his O2 intake. The sound effects succeed in submerging you in this underwater world: the soundwaves are muffled, your footsteps feel heavy and the bending of steel can be heard in the distance. The main voice actor, Jeff Mattas, earns a shout out as he flawlessly delivers each line of narration. He also sounds a lot like Robert Downey Jr. as Iron Man which I found fitting seeing as they have the iron suits in common. On the topic of suits, the controls really make you feel as if you’re in a heavy diving suit. You can’t look down past a certain point, which is realistic but it does make the few platforming parts needlessly difficult as you can’t see the edge nor estimate your jumps to pinpoint where you’ll land. Your movement is also slow and sluggish, but those two factors actually compliment the game well. 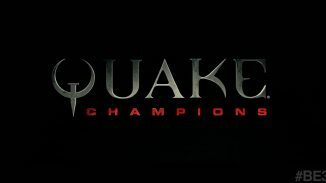 Since the game is also playable in VR having a limited range of motion and vision can actually help prevent nausea, something most developers are still struggling with. If the pace is too slow you can still use your thrust however. It’s mainly used for jumping but can also help you get around quicker. Speaking of which, I’m no diving expert, but I did feel like the O2 percentage goes down too fast in the first half of the game, even a few steps after filling it to MAX you can already see it dropping below 96%. I understand this is to make the game more tense, but this could have been achieved more realistically by starting the player off with 30% and only letting him fill up for tiny amounts here and there. Strangely enough the O2 consumption seems to drop drastically in areas where there are fewer cannisters, like the latter half of the game. As for combat, it’s virtually non-existent. You can swing a knife to kill some enemies, like the cuttlefish or anglerfish, but others, like the spidercrab, who can kill you in one hit and are impervious to attacks, need to be distracted with flares instead. This kind of approach is fitting for this type of game though, as you want the player to feel powerless at all times. The latter parts of the game also try to mess with your senses and beliefs. Some interesting game-design tricks are used but it’s best if you don’t know too much about them beforehand and experience it for yourself instead. You know what they say; sometimes the journey is just as important as the destination. Just know that it’s all worth it to see the end, which was original to say the least. 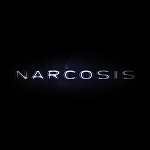 Narcosis is a game that draws you into its aquatic world of horrors and makes you hold your breath until you come out the other end. It’s just a shame that you could almost finish it in that one breath, as it can be completed in about four hours. 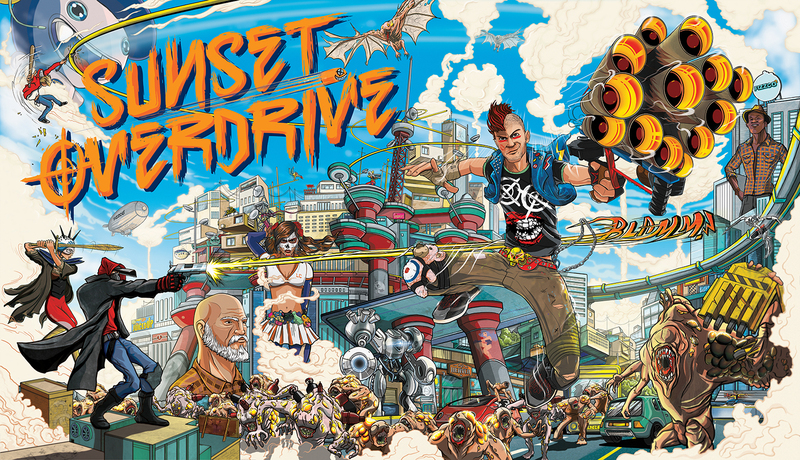 All in all we shouldn’t hold this against it as not every game has to be a forty hour open-world epic. In the end, this brief adventure was well worth experiencing. Now excuse me while I go out and buy a VR set to dive back in! Want to know more about the story? There is also an e-book that tells it from a different perspective: check it out! Great Review Robby. Looking forward to checking this one out sometime.